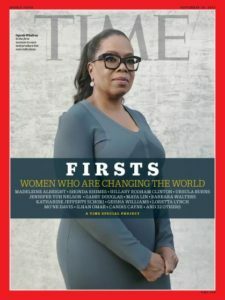 Time magazine recently released pictures from their yet to come issue and people were in for a shock – the good kind – because a Muslim woman made it on their cover for the very first time. Women generally – Muslim women specifically – are rejoicing for this major step forwards in the world of acceptance. 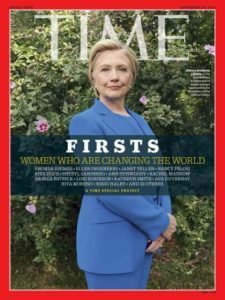 Their theme is “Firsts,” and we’re super excited about it because this is not a normal print magazine issue, but a 12-cover one that features 12 different women, each one having achieved something in her field that’s a first. “Our goal with Firsts is for every woman and girl to find someone whose presence in the highest reaches of success says to her that it is safe to climb, come on up, the view is spectacular,” – the introduction to the project on the official website. 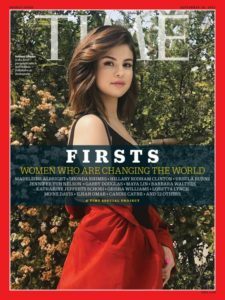 Selena Gomez, Hillary Clinton, and Oprah Winfrey are a few of the women featured in the magazine – alongside the woman on the cover herself, Ilhan Omar, who is the first Somali-American woman to become a legislator. This spread is inspiring to the point where it’ll drive any woman in the world to pick herself up and believe that she’s got a place in this world, and that she can make a change. “Life in Somalia before the civil war was beautiful. When the war happened, I was 8-years-old and at that stage of understanding the world in a different way. We fled to Kenya and ended up living in a refugee camp for four years. We arrived in the US when I was 12. I had to figure out what it meant to be a bridge builder — what it meant to forge relationships that never really existed,” says Omar about her journey. This issue is a must see for all women who aspire to be great one day.There’s still hope for change and acceptance. In a time where Islamophobia is spreading like wildfire, causing massacres and extreme tension between people, this is an upturn for all Muslims just as much as it is for women. It’s a sign that Islamophobia won’t be as vicious as it is now, and that’s relieving. It’s acknowledging what we all know – Muslims are not terrorists. It’s a sign if there was ever any, that we’re moving forward, that the hatred we face everyday is about to end, and that our dreams will no longer be hindered or blocked by the prejudice we face due to terrorism. WE SAID THIS: This is a major steps towards a better world, and we cannot help but allow ourselves to hope so.